If you own luxury fur coats that have seen better days, you may be able to repurpose them or recycle them to allow you to still enjoy them. When fur repairs and fur restoration in Chicago are unsuccessful, there are a few different ways that you can let your fur coat live on. Keep reading for some creative ways to repurpose older furs. 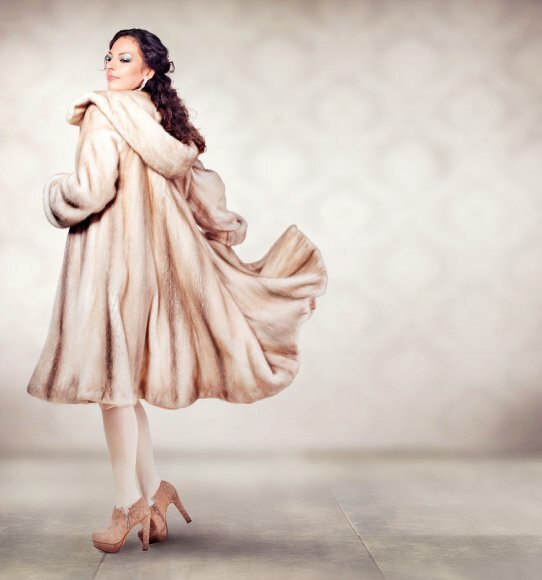 If you have a luxury fur coat that still has long, luxurious fur and only minimal damage, you can take it to a fur remodeling or fur restoration expert. It’s possible that fur coat alterations or fur coat restyling can turn it into a shorter, more casual fur coat that you can continue to wear. Fur remodeling may allow a fur restoration expert to transform a fur coat into a stylish fur cape, fur jacket or some type of fur accessory, such as a fur headband, fur muff, fur collar or fur cuffs. If your fur coat isn’t long or large enough to be restyled into a new fur garment, there are still other options. You can ask your fur restoration expert to harvest the usable fur so that you can create a beautiful fur rug, fur throw, or fur pillows for your home. Andriana Furs is a full service salon that can restyle and/or resize your beautiful fur so that you can enjoy it again. Another option is to trade your old fur in for a new Andriana Fur! If you would like more information about how we can help your fur or acquiring a new fur, please call Andriana Furs at (773) 779-7000 . Throughout history, many have thought fur is only acceptable for formal occasions. Luckily, this is not the case. Fur can be found on runways year round from Milan to New York. They are being showcased as a wearable that should be in every closet. If you are used to thinking that fur is just for formal events during the winter season, it’s time to reconsider. Read on to learn about how Chicago furs can —and should be —worn during every season of the year. There are a variety of ways one can incorporate a fur into his or her wardrobe throughout the year. A stylish cashmere piece can add comfort and beauty to your closet. Cashmere is perfect for a cooler summer evening, even for spring or fall, and comes in wraps, capes scarves, and other cuts allowing you tons of options. Incorporating cashmere into your closet will allow you versatility, as it is perfect for all seasons. Upscale fur-trimmed accessories can enhance any outfit all year round. If you plan to attend a music festival in the summer, a fur-trimmed bag is a great way to achieve the stylish Boho-chic look. Also, in the fall and winter, fur-trimmed purses, hats and gloves are great way to update your look. Fur-trimmed scarves are another elegant way to bring high fashion into an evening out with friends. Wearing a lightweight, rabbit fur overcoat out to brunch in the spring or fall will make you stand out and show you have great taste. There are a variety of lightweight fur coats that can be worn during both warm and cool months of the year. Also, a fur vest can bring to life a sleek jeans and tee outfit. Vests can be worn year round, as there are many types to choose from. Whether it be cashmere, fur-trimmed accessories, or a lightweight fur coat, bringing fur into your wardrobe year round will show the world how stylish and luxurious you are.